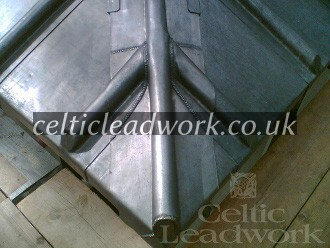 Lead bosses and welding on a staggered flat lead roof. 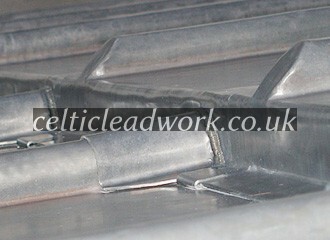 radiation shielding and sound attenuation. We are also able to roof with alternative materials such as copper roofing, Stainless steel sheet roofing, Zinc roofing. To compliment our work on site we have a team of experienced and fully qualified tradesmen in plumbing, electrical, carpentry, plastering, brickwork, painting and decorating along with building and property maintenance.